and one of the original Trustees. A lawyer by trade, and at one time engaged in the law office with his brother Nelson Beardsley, William C. Beardsley was also President of the Auburn Exchange Bank, one of the original stockholders of the Cayuga County National Bank, a director of the Grand Trunk Railroad, Auburn postmaster, a trustee of the Auburn Savings Bank, director of the Auburn Woolen Company and a trustee of the Fort Hill Cemetery for more than 25 years. 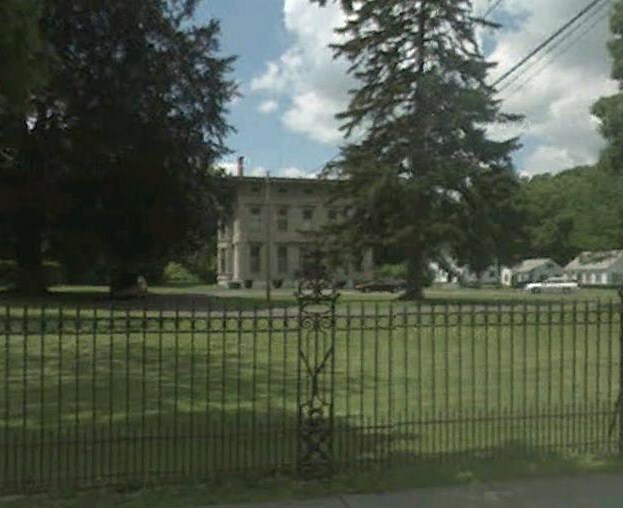 William C. Beardsley built the Italianate mansion 'Roselawn' at 91 South St. This house remained as the home of the Beardsley family until 1924, and still stands today. from 1873 to 1900 and served as Board President from 1897 to 1900. The Beardsley monument is located in the Cemetery's Fort Alleghan section.